This time of year, we always send a care package or two to U.S. Troops overseas. If you want to send a holiday care package to the Troops, but don’t know where to send it, the following information should help. People have been leaving the mailing addresses of their loved ones who are serving overseas at TheFunTimesGuide.com. Check the “comments” for the newest additions. With each of the above sites, you can read actual bios and journal entries from the Troops themselves, and then pick the one that speaks most to you. 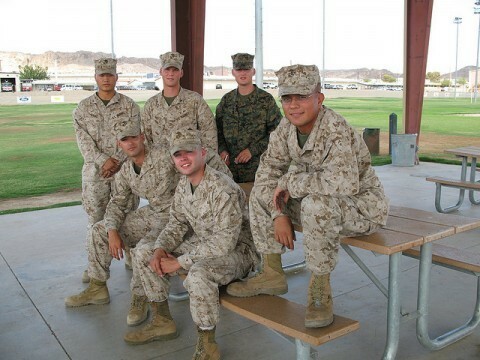 Many also post photos of themselves and their experiences while serving in the U.S. Military! Operation Troop Aid is an organization that accepts donations for pre-packaged items to be sent to U.S. Troops in your name. This is a great option when you can’t decide on one particular soldier or don’t have a preference. The USO also provides a number of ways that you can donate a gift to U.S. Troops. Adopt A US Soldier puts you in touch with a U.S. soldier via email. After you register, your soldier’s information and any comments that he or she may have provided will become available to you. Soldiers’ Angels is a great network of reputable organizations that provides gifts and services to all branches of the U.S. Armed Forces. They are a great resource connecting people with soldiers to “adopt”. You can also send the Troops a message quickly and easily online! A Million Thanks is another way to do this. I also like the USO’s Operation Care Package. It’s a great way to quickly (and easily) send a tax-deductible donation — as little as $25 — online. It goes directly to the Troops. And finally, here’s a helpful military mail FAQ from the U.S. Postal Service.